I think it has to be said that the initial critic in me says that changing the core flavor of a game based around the selling points of other games basically is like a band selling out. In that I think what we might be seeing here is the factor that the art directors, tech art directors, creative directors and audio leads are not being listened to in terms of what would just make the initial design more immersive, but rather the producers and sales people(marketing) dictating that not only does the original activity they are trying to reproduce on screen seem boring by most people but actually borrowing a new set of rules from other knee jerk paradigms that bring a sense of instant gratuity that all the fiends need. You can't make a simulation or a version of an activity that kinda represents the core of an activity any more fun than just experiencing it.... But video games don't make it a life's journey to master say snowboarding. Instead they want to bore you after a good year or so. So tack on the icing and make it tasty and easy to digest, rather than make it really challenging and develop skills based on that activity. 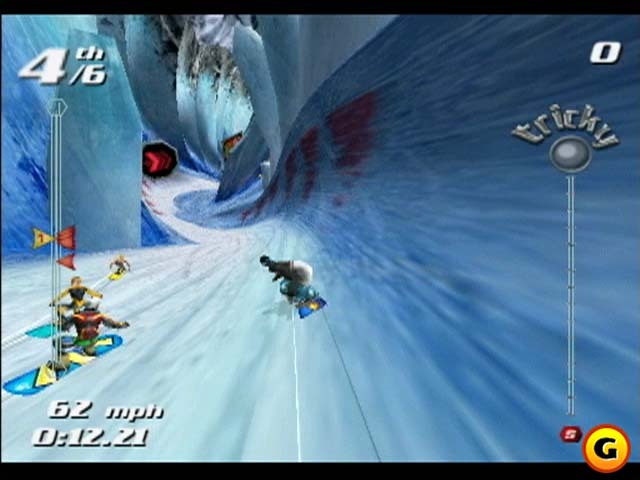 Imagine if it took 2 years to master snowboarding balance in a game... It doesn't translate but you know people who kill to snowboard.... So it's odd. I think these types of paradigm shifts are based around a throw away software function. Whereas say something like burnout paradise has shown to be lucrative and a great model of evolution in games where the game engine and the activity become the focus rather than the mediocriy of doing the same act over and over again. Fake thrills don't last. Catching 80 feet in a 360 over moguls is exhilarating. I don't know if this is a case of more icing for people to easily digest, or what I'd consider "reaching for Dudebros". When you mentioned hockey, yeah, I agree that they're just randomly throwing out new ideas, but they're nowhere being as aggressive as with those two games above. In my mind, the equivalent would have been replacing NHL with NHL Hitz, along with with a wrestling style presentation and execution.